Our non invasive Body Balance Slim Sculpt System are comfortable and warm infrared and red LED body wraps. The energy of both Red/635nM diodes and Infrared/880nM Diodes safely penetrates the skin and effectively targets adipose (fat) cells. Adipose cell membranes become permeable, releasing fatty acid, water and glycerol. Together these compounds are also know as triglycerides, which are normally released from fat cells when the body needs energy. Once released, the glycerol and free fatty acids are used by the body as an energy source allowing adipose cells to shrink and collapse resulting in inch loss. Exercise is recommended within 4 hours after a treatment to increase the body’s demand for energy and stimulate lymphatic drainage. Imagine a grape, then imagine a raisin. That is what the fat melting light wraps can help to do to the fat cells when the specific wavelengths opens the adipose cells to release triglycerides and cholesterol into your lymphatic system to be eliminated. With healthy diet and regular exercise, the results maybe long term. The 635nM,red wavelength also has skin renewal benefits and the infrared 880nM, also has pain reduction benefits. 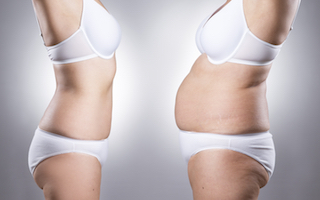 Recommendations: 2x/week for 6 weeks for inch loss or combined with Acoustic Wave Therapy and Ultrasound Cavitation for cellulite reduction and localized fat reduction.